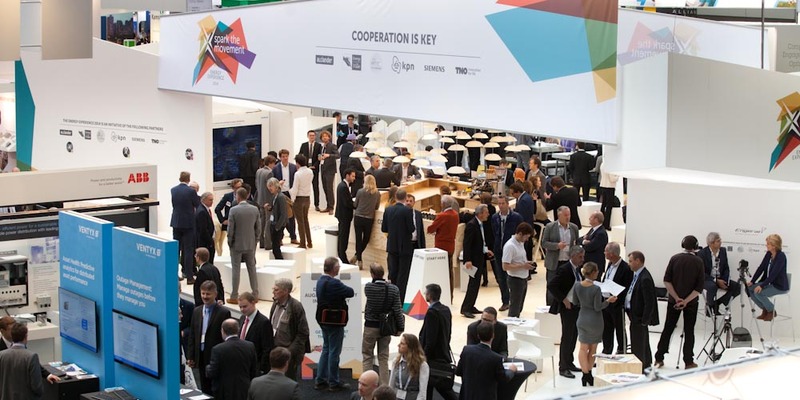 The European Utility Week 2015 (EUW 2015) in Vienna, Austria delivered big time. While at last year’s event in Amsterdam, Netherlands it seemed like many companies still needed to catch up with the new possibilities created by IoT and smart metering/grid technology this year the participants were striving to innovate together based on the new opportunities. 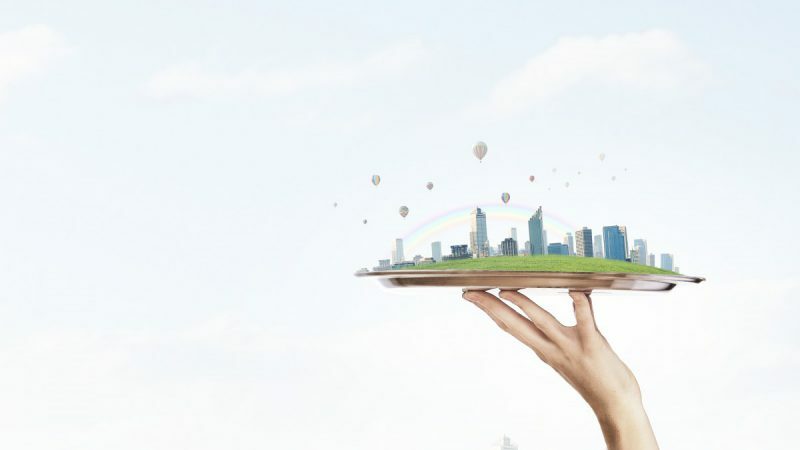 The last couple years we came a long way from the very first wireless smart meters over creating standards for connected renewable energy applications to taking a look at the bigger picture including power grids and smart home devices. This year at the EUW 2015 many of our supplier partners as well as other companies demonstrated not only single innovative solutions but future proven and extensive product portfolios which enable the next generation of smart energy saving applications. With more and more standards and agreements on communication technologies it gets easier to examine which functionality a certain product like a smart meter requires to address market needs in the best way (e.g. BLE vs. ZigBee vs. WiFi…). 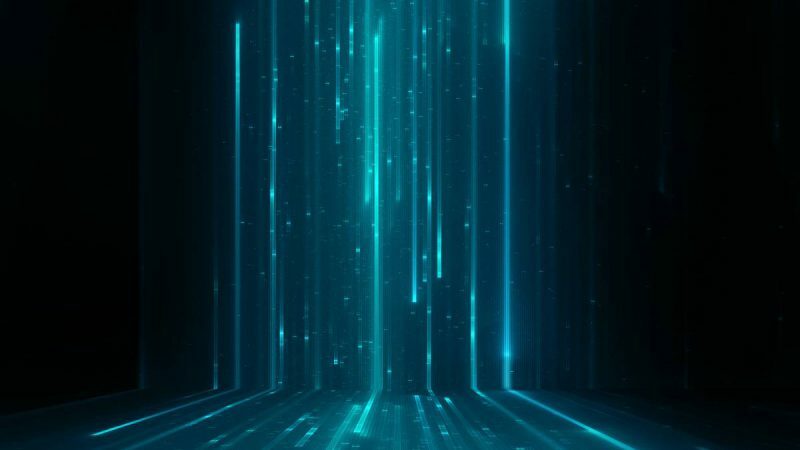 At the same time it remains difficult to develop an application within the boundaries of current regulations without spending too much effort in order to stay competitive. 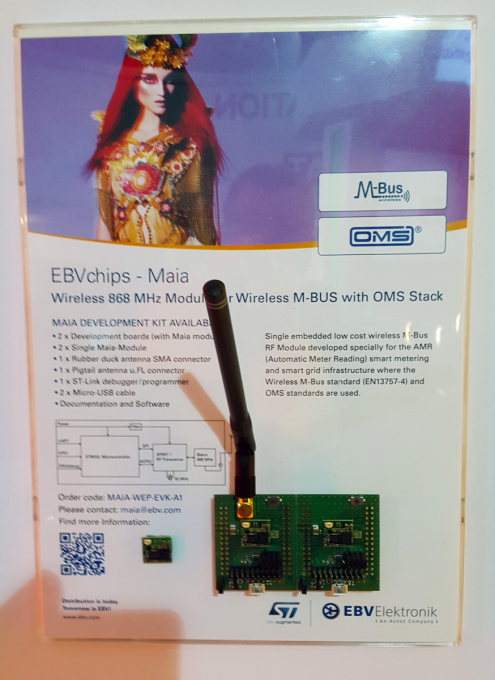 This challenge is were modules such as EBV Elektronik’s Maia, a wireless high quality, low power RF module in a compact form factor including an industry proven wireless M-Bus and OMS-layer to OMS 3.X and OMS 4.X specifications can help to enhance functionality in smart grid and smart metering applications efficiently and time and cost saving. Another good fit for the current and future needs identified during the EUW 2015 is the EBVchip Hermes which we developed together with ON Semiconductor. 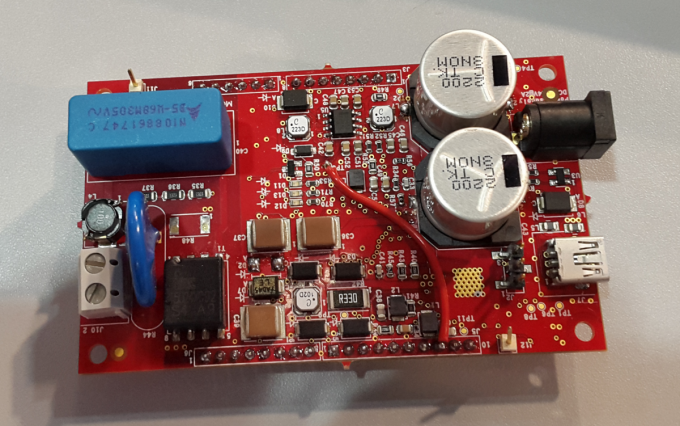 Hermes is an M-Bus transceiver which offers advantages compared to similar products like space reduction, lower cost and additional functions that enable a range of attractive new designs. Another rising trend which we identified at the EUW 2015 is the increasing interest in power quality management. Monitoring of electrical power helps to identify important power quality problems such as voltage sags and swells, interruptions, harmonics, and high-frequency noise, consistently seen in industrial and commercial grid applications. Resolving such problems requires accurate measurements in order to identify the sources for the issues. 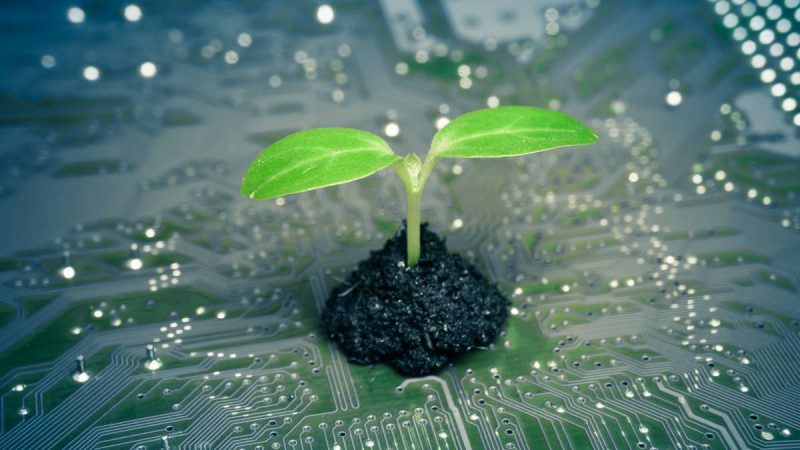 Power quality management applications are definitely a trend to watch in 2016. Analog Devices, was present at the EUW with some very impressive solutions for smart metering and sophisticated communication products. With the lately introduced AD777X 24-bit data acquisition system-on-chip (SoC) series the company also offers a product which fits well into the identified trends of the exhibition. AD777x was designed to improve the performance of protection, monitoring and power quality measurement equipment used to manage transmission and distribution of electrical energy within smart grid systems. 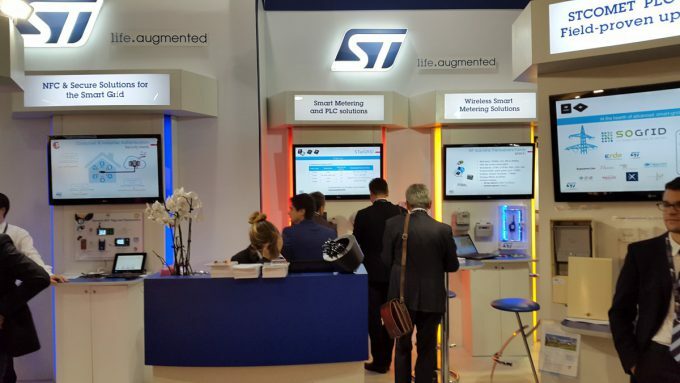 Our friends from STMicroelectronics took the opportunity at the show to introduce their ideas of a more sustainable tomorrow in form of the STCOMET, a field-proven smart metering PLC platform for multiple standards (PRIME, G3, IEEE 1901.2, meters and more) with up to 500kHz bandwidth capability. 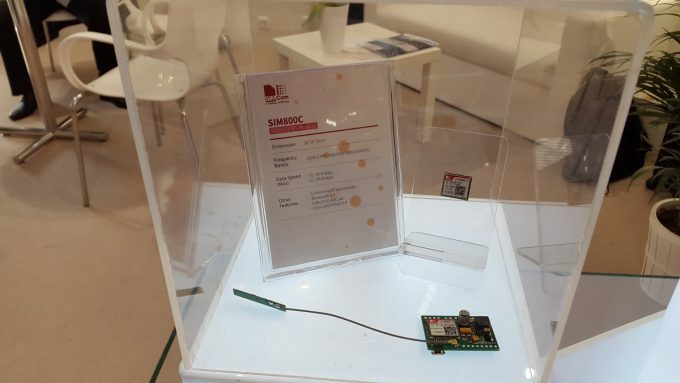 Further disruptive metering platform architectures and ultra-accurate energy measurement ICs along with innovative wireless solutions for smart metering and smart city applications have been presented at the ST booth. It is also worth mentioning that ST is able to support ultra-low power for gas, water and electricity with the STM32L4 MCUs and high performance industrial metering and security applications with the STM32F7 MCUs. 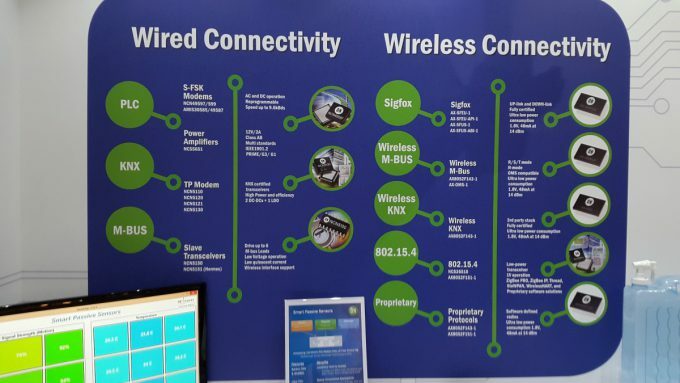 Atmel’s showcased highlights included smart metering with power line communications (PLC) demonstrated in a G3-PLC reference design and demonstrator for G3 smart meters and PAN coordinator and a PRIME PLC reference design and demonstrator for service node and base node both supported by a comprehensive tool chain for network debugging. Smart metering with wireless communications, as shown in Atmel’s Dual Band Sub-1GHz/2.4GHz IEEE802.15.4g-2012 compliant wireless transceiver including OFDM, OQPSK and FSK modulation demonstration and a Zigbee PRO Smart Energy Profile 1.2. reference design, have been a heavily discussed topic throughout the event. 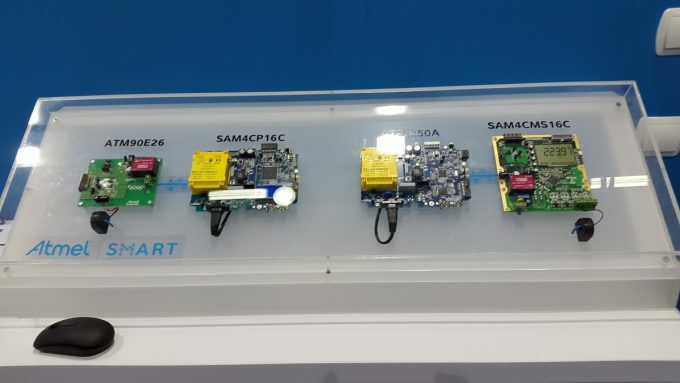 Smart metering metrology and system-on-chip examples like the SAM4CMSxx SoC family with GUI and calibration demo ATM90E36 + SAM4L high performance 3 Phase meter reference design made the visit at the Atmel booth even more interesting. 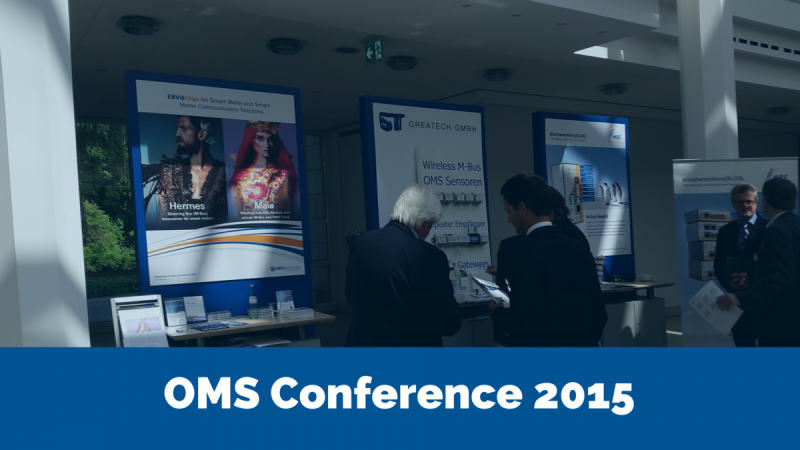 SimCom joined the event in Vienna with several highly interesting and easy to implement wireless modules and solutions. Freescale, an established player in the smart/flow metering, connectivity and home and building energy management segment surprised with a new reference design for a 3 phase electricity meter with shunt and a G3 PLC reference design with software stack and certification. 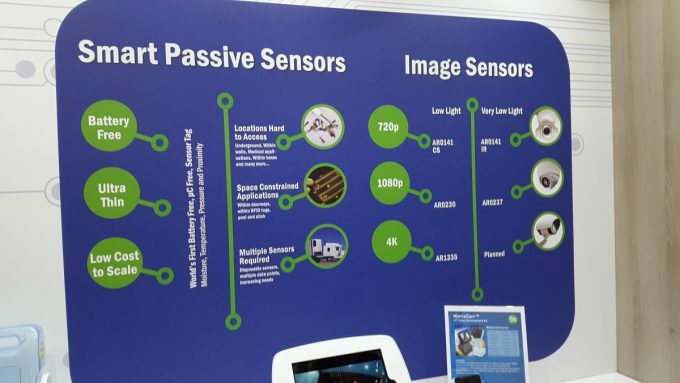 If you have been on the hunt for sensors you got lucky at the ON Semiconductor booth. With some innovative smart passive sensors as well as IoT camera demo the company emphasised their efforts in the utility space. 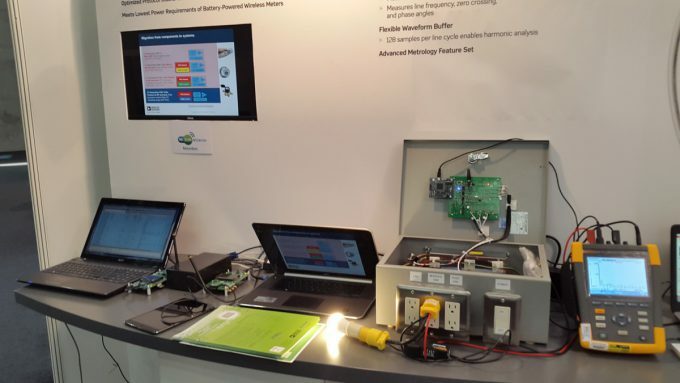 The guys with the green circle also painted connectivity green and showcased their ultra-low power 2.4 and sub-GHz product portfolio with a variety of solutions to suite your needs. On Semiconductor highlight? Probably the freshly certified G3-PLC reference design showcase at their booth. With so many new and proven products and solutions for a smart and sustainable future we would love to get in a conversation with you and support you in being part of a greener tomorrow. Take a look at our Renewable Energies Microsite for more information or contact us directly for design support here.